We at The Powell Group have previously discussed the necessity of housing inspections. But, what are the good things and bad things about dealing with them? Firstly, it is important to reiterate that – if you get a mortgage – an inspection is almost always required. Whether you want them or not, they may be a necessary evil. So, what can you expect? As you may suspect, you will have to pay for the inspection, which means $200 and up. We at The Powell Group can explain why it is necessary to pay for one and what you can expect. 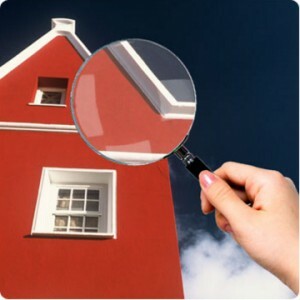 As a result of the inspection, problems will most likely surface that will have to be discussed with the buyer. However, good communication between the seller and buyer will more than likely work out best for the two sides. So, it is best to get things out in the open. The openness will also diminish any surprises you may discover later on. After all, a bug or HVAC problem is best discussed sooner rather than later. No seller wants to find out they’ve just bought the housing equivalent of a lemon. An inspection can also help you discover that what you may have thought was a big, expensive, problem may be fixed easily – and with less money. Although you paid for the inspection, finding out you need to pay less on the back end will always be a pleasant surprise. The Powell Group encourages you to find out why you need an inspection and what it entails. Our team members are always here to answer all of your housing questions and concerns. If you are new to the Western Upstate of South Carolina and are looking for a new house, log on to our website to view all of our available homes. We are sure you will find exactly what you are looking for.